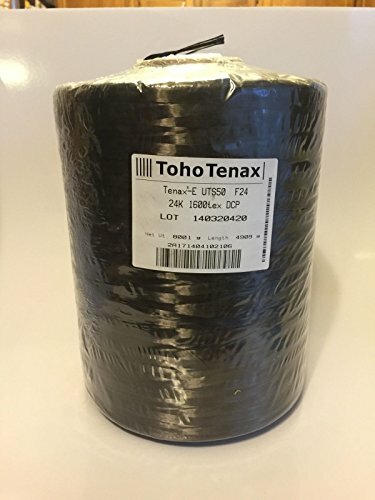 Carbon Fiber Tow - 24k - 100 feet Continuous Length - UTS50 Tenax-E by Toho-Tenax at In The National Interest. MPN: UTS50. Hurry! Limited time offer. Offer valid only while supplies last. Great for Hobby and repair applications. UTS50 is an ultra high tenacity (UT) fiber for specialty requirements where high tensile strength is needed. If you have any questions about this product by Toho-Tenax, contact us by completing and submitting the form below. If you are looking for a specif part number, please include it with your message.